I started Christmas shopping today. It was altogether frightening and exciting. I have to admit, I’m more for online shopping. While out and about today, I got gifts for my mom and dad — and maybe myself, too. Oh, TJ Maxx, you get me every time. 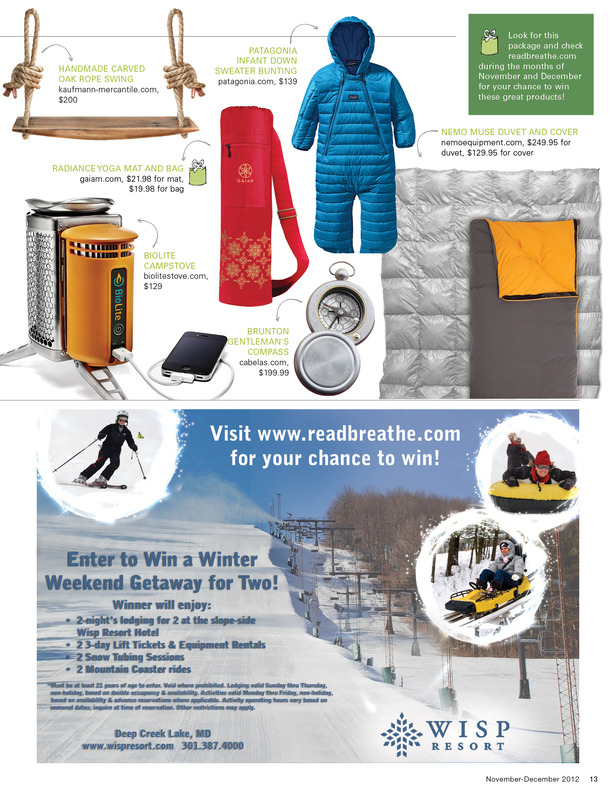 If you are looking for gift inspiration, be sure to check out the gift guide we put together for Breathe. We hand-picked our favorite items for the Nov-Dec issue. 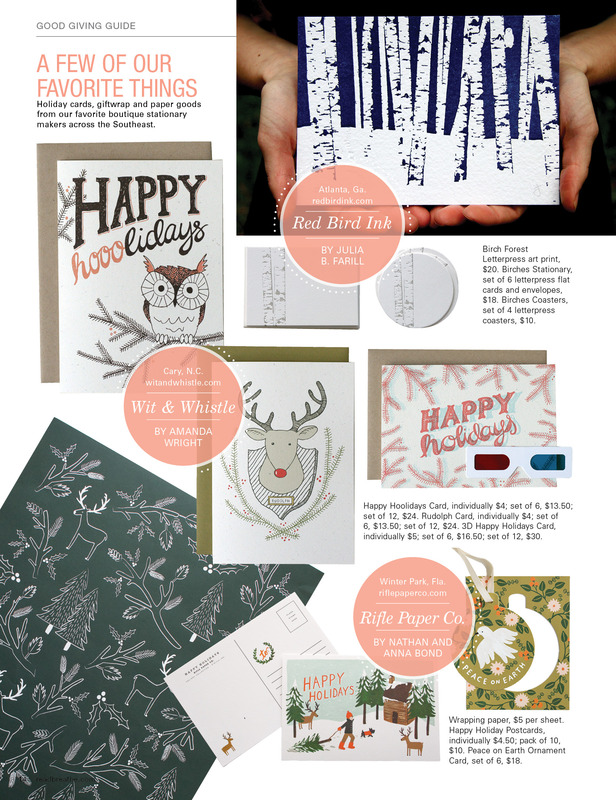 Awesome wrapping paper, gift cards and postcards from our favorite letter press ladies. 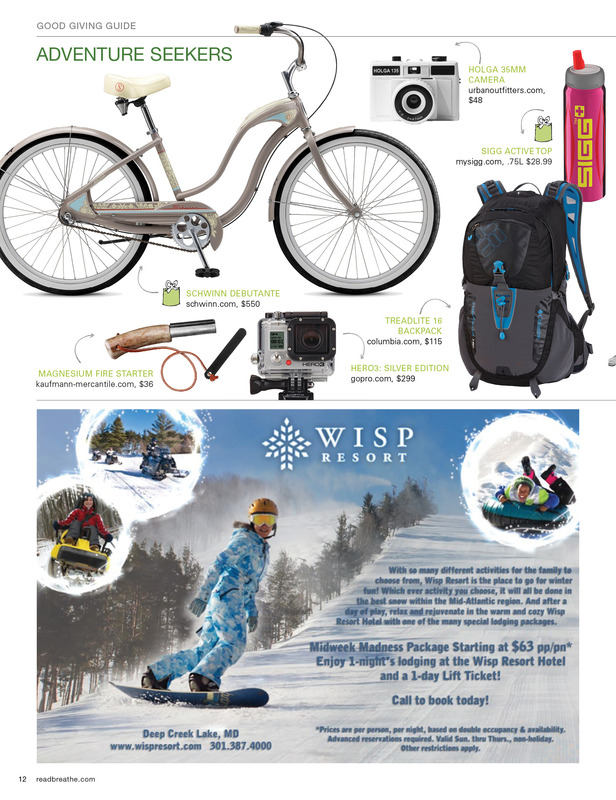 Gifts for the outdoor adventurer. 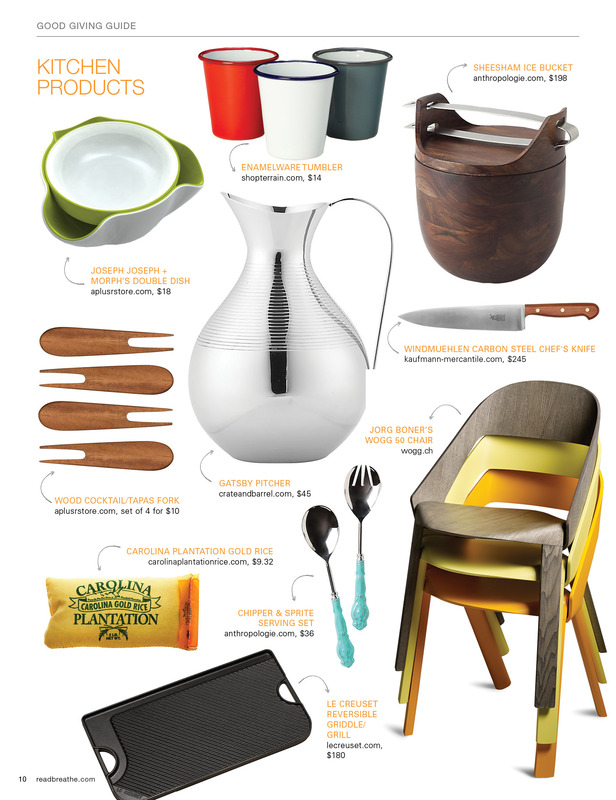 Gifts for the kitchen adventurer. Good stuff. I’m not sending a Christmas card this year. Here’s a blog post instead.